Disclaimer: Md. Sadiq and jammu-kashmir.com are not responsible for the contents of these messages submitted by various individuals and organisations. To read previous messages and letters navigate from the "Letters Page". 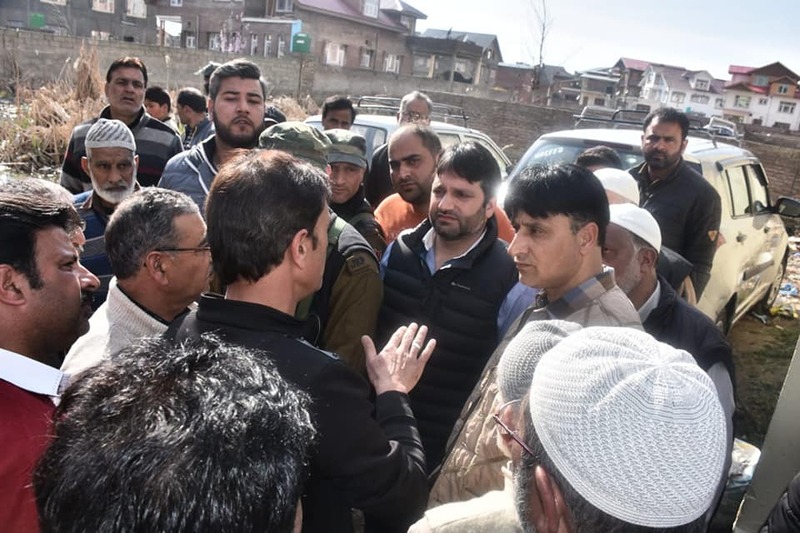 Srinagar, 10 April: Deputy Mayor Srinagar Sheikh Mohammad Imran on Wednesday said instead of banning the civil traffic on the highway, government should ban pellet guns, PSA, AFSPA and other black laws in the Kashmir. Imran said instead of banning of these things they should ban the use of pellet guns, AFSPA, PSA and other such black laws in the state. “Highways have never been banned for civil traffic, it is Hitler’s policy and these things should be reviewed again,” he said. He said that Bharatiya Janta Party (BJP) should be renamed as Ban Janta Party because they are banning everything in the country. They have banned beef, Triple talaq, Jamaat-I-Islami, Peace Tv, Zakir Naik and other things in the state which is the clear human rights violation. “Kashmiris will never bow down by such tactics and government of India has to accept the ground reality,” he said. Apart from these black laws also, the government should ban Tik tok, PUB-G, and other such mobile applications that are raising concerns about mental health, Imran said.